An entertained audience is an engaged audience. When your audience is having fun, they retain information, remember your message, and connect with your brand on an emotional level. At TalkingTree Creative, we specialize in creating the kinds of connections that ensure your brand will stand out in the minds of your audience. We are a skilled and highly experienced custom event production company with decades of combined experience in custom video concept development, custom theatrical events, and much more! Whether you are planning a conference, sales meeting, or tradeshow, we will manage the entertainment and messaging to ensure your brand is represented well and your audience has an enjoyable and memorable experience. 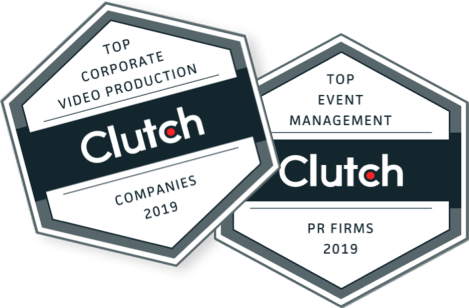 Based in the Baltimore-Washington area, we work with corporate event clients everywhere in the nation to offer corporate event logistics for venues located nationwide. To truly wow your audience and create a corporate event they’ll never forget, the addition of a live act is the best way to take your event to the next level. Whether you want musical entertainment, engaging video content streamed throughout your event, or a custom theatrical event, you’ll excite your audience and ensure that your corporate event lives on in their minds. Using our Strategic Creative approach, we will work closely with you to ensure that your live event enhances the branding, messaging, and effectiveness of your corporate event. The logistics of managing a live event are complex: From arranging entertainment to handling equipment needs and unexpected technical issues, it pays to bring in the professionals. At TalkingTree Creative, we have extensive experience managing and executing live events of all shapes and sizes. We can develop show flows and work with presenters to help them prepare for their presentation. When it comes to logistics, we can handle every aspect of your event, from attendee registration to managing your hotel banquet event order. Whether you’re planning an event for a crowd of one hundred or one thousand guests, we have the skills and expertise to design, create, and execute a live event that will excite your audience. Your employees and stakeholders have been to countless corporate events full of boring seminars, humdrum box lunches, and endless speakers. Show them that your organization stands out from the crowd by planning an exciting and fun corporate event! With the TalkingTree Creative team at your side, your event will be one the crowd never forgets.